Image Description: Abstract background. 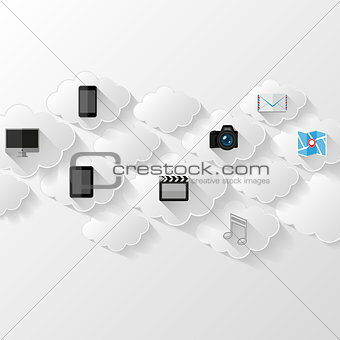 Cloud storage concept. Flat design. Vector illustration.